SPOILER ALERT-Do not read if you have not seen Season Two of The Expanse. What do a missing child, a giant asteroid headed toward Earth, a “crying sleepwalker,” a Martian marine suffering severe PTSD, a Protomolecule hybrid, and two lost souls who finally meet each other (in one of the best episodes ever written for episodic television) possibly have in common? They are all part of Season Two of The Expanse. It has been almost a year since the end of Season Two of SYFY Channel’s critically acclaimed series and fan loved show, The Expanse. We thought that Season One was amazing but apparently the show’s team, led by Naren Shankar, was just getting started. Season Two was an epic roller coaster ride! In preparation for Season 3, here are the links to the Season 2 recaps as a reminder of the events on the show if you do not have the time to re-watch Season 2. During Fan Expo Canada, I had the wonderful opportunity to visit the set of The Expanse during the filming of Season 3. Here are my spoiler-free observations. Besides the set visit, I also interviewed the cast and writers of The Expanse at San Diego Comic Con in 2017, I conducted a phone interview with the system’s best pilot, Cas Anvar before WonderCon 2018, and I attended The Expanse panel at WonderCon 2018. During my interview at SDCC, I learned an interesting fact about my favorite episode, Home, from one of the writers of the episode, Mark Fergus (Hawk Otsby is the co-writer). Mark and Hawk Otsby had used the story of Home as the basis for their pitch of the show to Alcon Entertainment and the SYFY Channel. Later, during the set visit in August, I learned that Mark was literally working on rewrites of Home on the set with Thomas Jane as they were shooting. Clearly, this level of commitment by the entire cast and crew is why the episode Home is, in my opinion, one of the twenty best episodes ever in episodic television. In my phone interview with Cas Anvar, he revealed that we would learn more about Alex’s family some of which is revealed in the graphic novel, Origins. He also reminded me that the novels and the show have diverged on several points in the past and we should expect this to continue in the future. I asked about Naomi’s bombshell announcement at the end of Season 2 that she had given the Protomolecule to Fred Johnson. While somewhat circumspect in his answer, Cas promised that there will be repercussions as the crew adjusts to what they believe to be a betrayal of trust. Although I wish I could say more about everything I have learned about Season 3, I can say this: fans will not be disappointed! I believe that all of the big questions will be answered. Such as, what is the Protomolecule doing on Venus? Why and how did the Protomolecule disassemble the Arboghast? Is Prax’s daughter, Mei, alive or is she a hybrid? What will Fred Johnson do with the Protomolecule? What has Dawes done with Paolo Cortazar (the only remaining Protogen scientist)? How will Naomi’s revelation that she gave Fred Johnson the Protomolecule affect her relationship with Holden and the rest of the crew? What happens next with Avasarala, Bobbie, and Cotyar? How will Avasarala handle Errinwright and Jules Mao? Will the Solar System go to war? What part will the newly announced cast members (Elizabeth Mitchell, David Strathairn, Anna Hopkins, and Nadine Nicole) play in Season 3? If you have read the books (specifically Caliban’s War and Abaddon’s Gate), you know how the big questions are answered in the novels. But it is absolutely essential to remember that the series has deviated from the books and fans should expect more of this in the future. *SPOILER ALERT* One example of these differences would be how Fred Johnson obtained the Protomolecule. In the novels, Holden gave the Protomolecule to Fred Johnson for safe keeping. On the show, Naomi gave Fred the coordinates to find the Protomolecule when she thought that the Weeping Somnambulist would be destroyed. The novels will continue to guide the fans regarding what to expect in Season 3. However, television is a different medium. The writers have demonstrated that the novels may be the basis for the show, but they will continue to make changes in much the same way that the Protomolecule continues to mutate to suit its environment. There is no guarantee of what to expect in Season 3, but I was able to get one person on the crew to comment about the upcoming season. Bob Munroe, the visual effects supervisor, would only say that Season 3 will be even more spectacular than Season 2! From what I saw, I totally believe him. But, remember this, The Expanse is great in answering questions but is even better at asking new and more compelling ones. 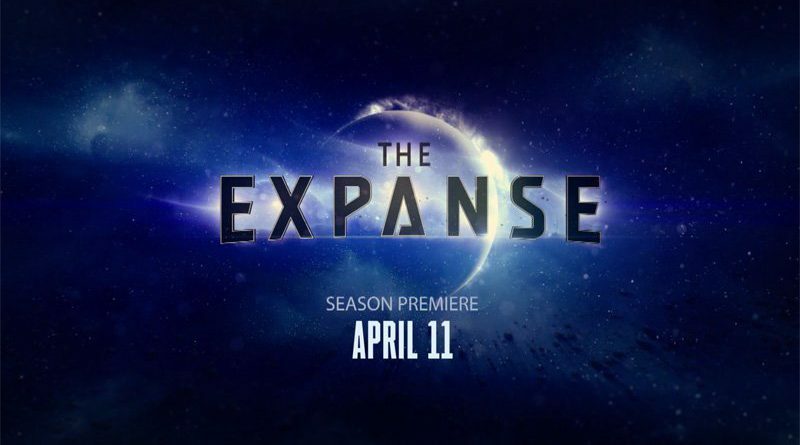 I know that I and the other fans of the show can’t wait for the Season 3 premiere of The Expanse on April 11! Here is a brilliant reminder of where we have been as well as the promise of what is to come.